Advice on making old TVs smart, getting local TV without an antenna, picking the best bundle, and more. 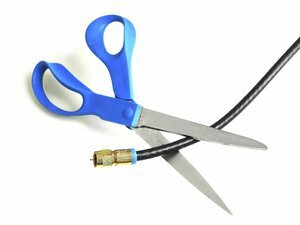 Last week, I asked subscribers to my cord-cutting newsletter for all the questions they might be too embarrassed to ask. After nearly a decade writing about technology, it’s easy for me to make faulty assumptions about what’s common knowledge, and I figured some judgment-free Q&A might be helpful for everyone. Douglas asks: Is there a device that combines streaming and over-the-air TV into one feed? One with no monthly fee that acts like the current cable boxes for saving programs, etc.? 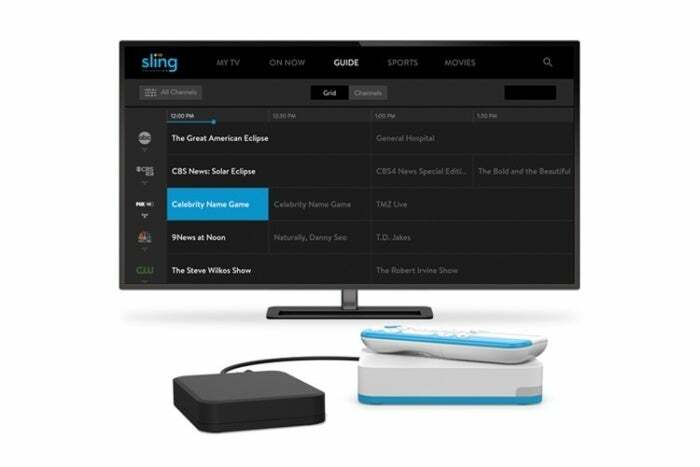 The closest thing at the moment is the AirTV Player, a $100 box that pulls over-the-air broadcasts into a special version of the Sling TV app, where you can also view streaming cable channels. The concept is great, but DVR for over-the-air channels only arrived in beta last month, with some major limitations. For instance, you can’t pause live TV or watch a recording while it’s still in progress. And the integration only works with Sling TV, not other streaming bundles like YouTube TV or Philo. AirTV combines Sling TV and over-the-air channels into one guide. The next-best thing would be a networked over-the-air DVR like Tablo, Plex, or Channels. These allow you to watch live and recorded TV through their own apps on streaming boxes. (Tablo offers basic DVR capabilities without a subscription, while Channels offers free time-shifting for live TV. You can also buy lifetime DVR service with either Tablo or Plex.) You’d still have to switch to a separate app for your cable channels, but that still beats switching inputs. Judy asks: Unfortunately, I live in an area where an antenna won’t work. There are too many mountains in the way. I’m thinking of adding Sling TV, but still need to keep basic TV for local channels, which is adding to the expense, not cutting it. Any suggestions? If you can’t get local channels, consider some workarounds. All the above bundles offer primetime shows from the networks they carry, even if your local feed isn’t available. There’s also Hulu for shows from ABC, NBC, and Fox, and CBS All Access for shows from CBS. PBS offers a free app with programming from your local station. And for local news, check out the free NewsOn app, which carries newscasts from many stations around the country. Rick asks: I have an old Sony tube TV and am thinking about leaving Comcast. Do I need to get a new television for streaming video, and if so, what else will I need to get it working with my Wi-Fi? I have a new modem, a very old 2.4 GHz-only router, and 50Mbps broadband service. Short of getting a new TV, your best option is the Roku Express+, a $40 streaming player with composite output for older tube TVs. It’s speedy enough, and runs the same apps as other Roku models, though its remote lacks TV and voice controls, which are nice to have. The Roku Express+ has composite video output (plus HDMI if you decide to get a new TV). 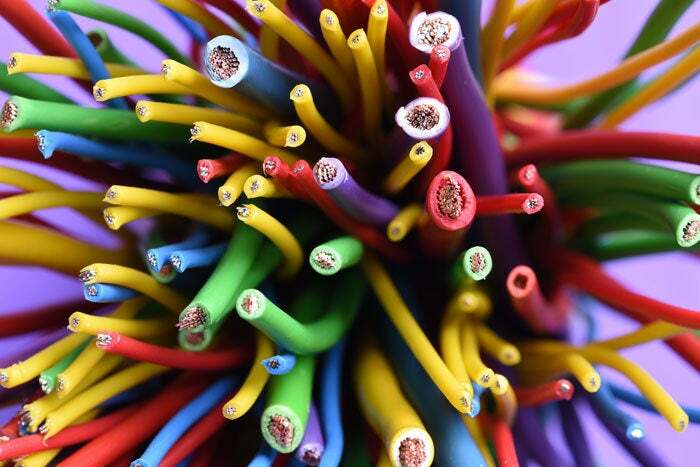 As for your internet setup, 50Mbps should be plenty for streaming video. The 2.4GHz Wi-Fi band could be a problem, but only if there’s congestion from other nearby routers, or if your TV is far away. One thing to try: Put a computer or phone next to your TV, then run a test on Speedtest.net. If you’re not pulling at least 5Mbps in download speeds, it’s probably time for a new router. Audrey asks: Say you’re using a device such as Apple TV or Roku. When you turn on your TV, does the screen default to the last app used, or does it go straight to the device’s main page containing all the apps? It would seem as though using this method could require more navigation each time you turn on the TV than with standard cable. When you put an Apple TV into sleep mode (by holding the Home button, then choosing “Sleep Now”), it uses HDMI-CEC to turn the TV off. When you wake it up again, it returns to whatever it was doing last. Amazon Fire TV devices can’t turn off your TV, but you can put them on standby by pressing and holding the home button. They’ll remember what you were doing last. Chromecast doesn’t even use a traditional remote, so turning the TV off requires a separate remote. Oddly enough, my smartphone habits are so ingrained that I never turn the TV off without first exiting whatever app I’m in. Al asks: Is there any way to make changing the input between streaming and antenna TV less tedious? We mainly watch streaming TV via Roku, but have to haul out the original TV remote, find the Input button, and confront the inscrutable choices to get to antenna TV. This freaks out my non-tech spouse. As a strict remote control minimalist, I feel your pain. 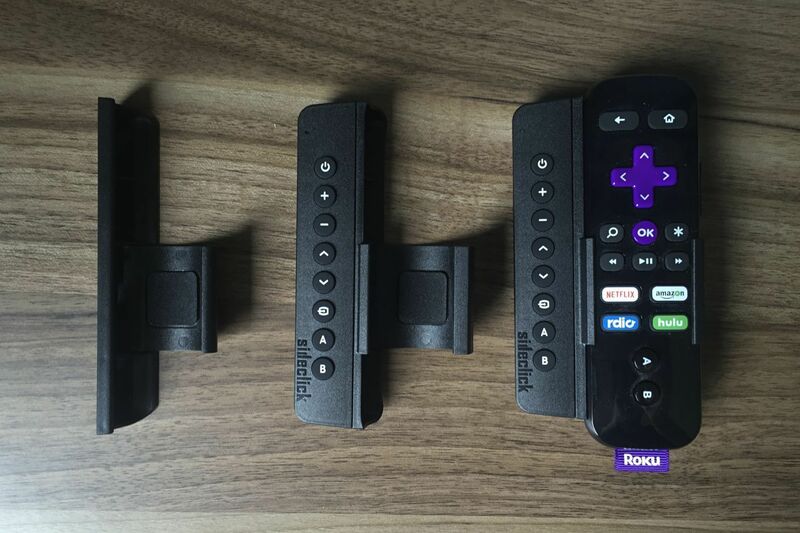 The easiest solution is to get a Sideclick, which attaches a set of programmable buttons to your Roku remote. Logitech’s Harmony remotes are also an option, though you’ll need a Harmony Hub if your Roku doesn’t use infrared controls. 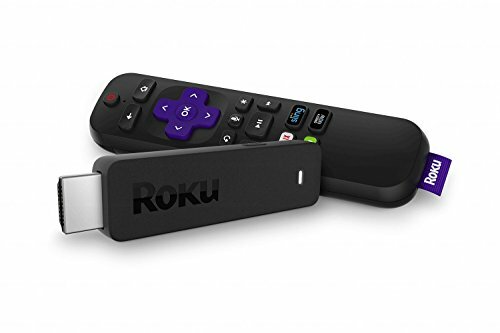 (Test this by seeing if the Roku responds when the remote’s pointed into your palm.) An extreme solution would be a networked antenna tuner, such as Tablo or ClearStream, which send over-the-air channels via Wi-Fi to apps on your Roku. Those are worth considering if you want one antenna to serve multiple TVs. Sideclick adds programmable TV controls to Roku remotes at the expense of some added bulk. Tom asks: I’m planning on purchasing a new LG OLED TV. I know it has access to Netflix and Amazon Prime, but I’m not clear on how it works and if I can access other services like Pluto, Crackle, and DirecTV Now. Is a separate media player still needed? The best smart TV platforms are powered by Roku, Amazon Fire TV, and Google (with either Chromecast or Android TV). They run the same software that’s available on streaming devices, and generally have better app selections than other smart TVs. They also have some neat integration with over-the-air antennas, which would neatly solve our friend Al’s problem up above. As for LG, its WebOS software is slick, but its app selection just can’t keep up. Searching through LG’s app store, I see an app for Crackle, but not for Pluto TV or DirecTV Now. I’m not opposed to smart TVs in general, but don’t give up OLED just for the software’s sake. 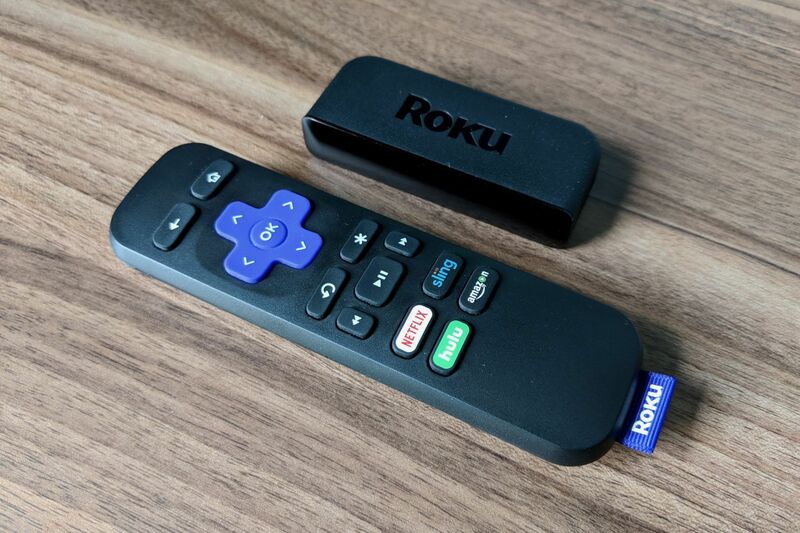 The Roku Streaming Stick+ is an excellent 4K HDR player for just $70—a drop in the bucket compared to what you’ll spend on the TV. Joel asks: Which channels are carried on what streaming providers? I’ve yet to find a definitive list. Also, which services are available on what hardware? I happen to have just such a list. Check out the charts in our streaming TV bundle guide, one of which lists all available channels, and one for device support. I’ve also compiled a list of other online tools that will help you pick a personalized streaming plan. Don asks: Is there some reason streaming services do not carry local PBS channels? If anyone reading this wants to shed some light on the matter, please email me at newmanJB@gmail.com. And if you have more cord-cutting questions you’d like me to answer—no question too stupid—please get in touch. I’m looking forward to doing this again soon.